Andy Summers is best known for his years as the guitarist for the rock band The Police. His innovative, instantly recognizable sound was as critical to the band's success as Sting's voice and songs, and Stewart Copeland's drumming. Yet Andy has also enjoyed an extensive solo career as a guitarist, recording numerous rock, jazz and new age albums. He is also an accomplished photographer and has published an acclaimed autobiography, "One Train Later", which has since been adapted into the documentary film "Can't Stand Losing You: Surviving The Police". This page is my small tribute to Andy Summers and his work. 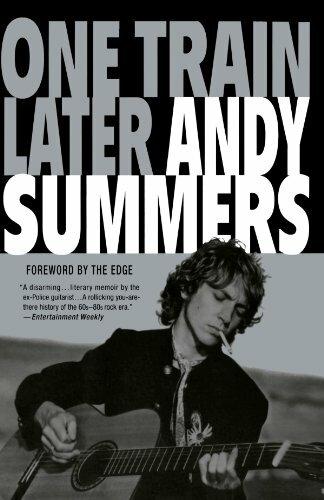 Find out more about his life, his music and where to find great deals on Andy Summers music, books and memorabilia. 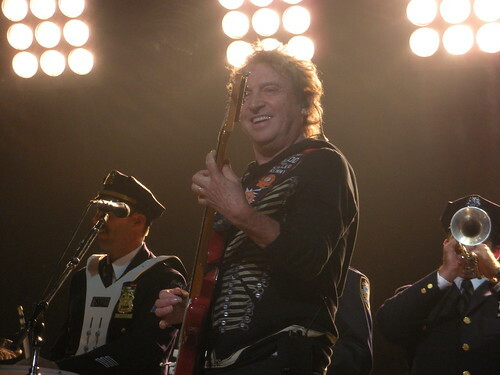 Image above: Andy Summers in concert with The Police, August 7, 2008. All photos on this page are by the author, sockii, unless provided by Amazon or eBay. 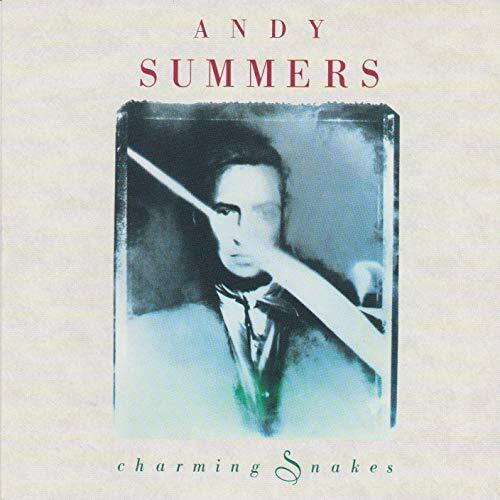 Are You an Andy Summers Fan? 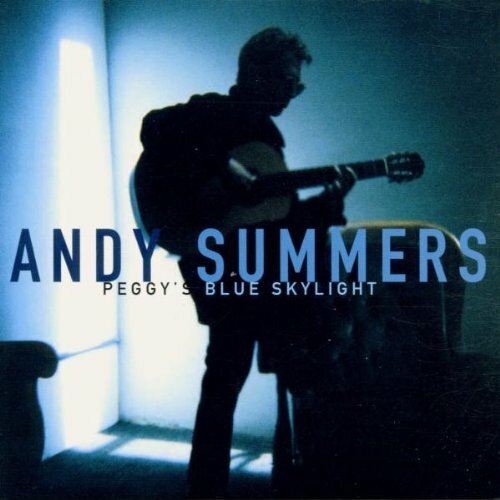 Are you a fan of Andy Summers? Yes! 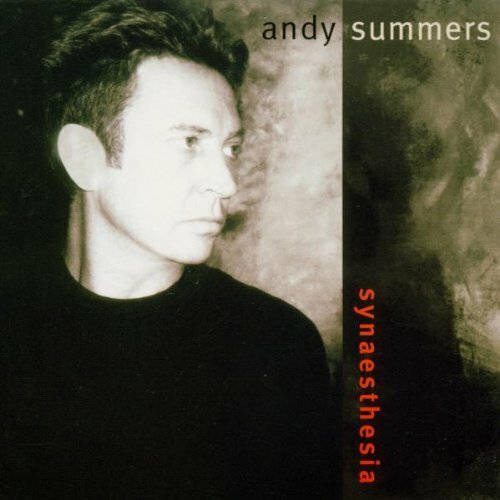 I'm a big Andy Summers fan and have followed his work for years. I'm a fan of The Police but don't know a lot about the rest of his career. 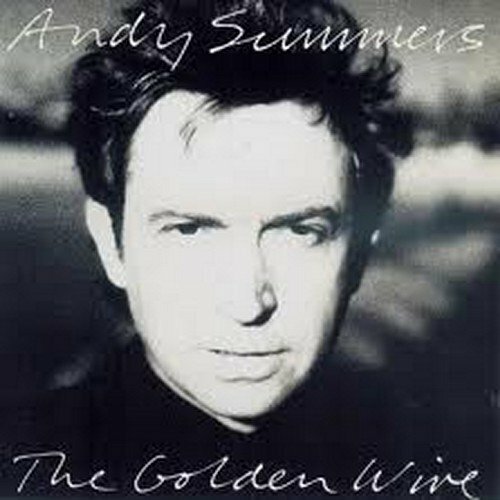 I'm not really familiar with Andy Summers at all. Andy Summers was born "Andrew James Somers" on December 31, 1942 in Poulton-le-Fylde, Lancashire, England. Summers grew up in Bournemouth, Dorset, England and started playing guitar primarily as a self-taught musician. He began playing jazz guitar in local clubs by the time he was a teenager. In 1964 he became the guitarist for Zoot Money's Big Roll Band and remained with the act as it was transformed into Dantalian's Chariot in 1967, in an effort to capitalize on the popularity of psychedelic rock. Although this act - in both configurations - was popular on the London club scene, they never received widespread success or acclaim. With Dantalian's Chariot coming to a close, Summers briefly toured the United States with the jazz-fusion band Soft Machine in the summer of 1968. Later that year he joined Eric Burdon And The Animals and is featured on their album "Love Is". He then studied classical guitar at the California State University at Northridge for four years, through 1973. He spent most of the mid-seventies afterward as a sought-after session guitarist, performing with notable artists including Neil Sedaka, David Essex, Kevin Coyne, Kevin Ayers, Joan Armatrading, Tim Rose, Jon Lord, and others. It was when he was brought in for a session for Mike Howlett's project Strontium 90 that he first worked with Sting and Stewart Copeland, who were struggling to make a success of The Police with their current guitarist, Henry Padovani. 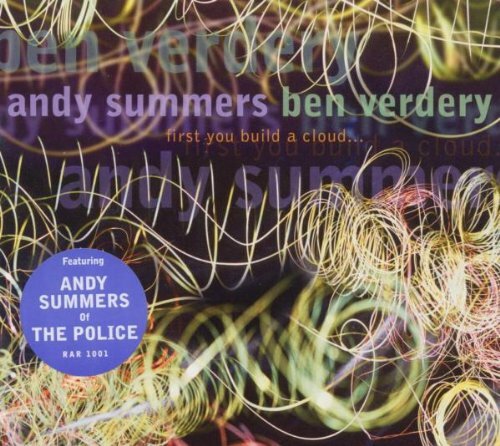 Summers wanted in on The Police, and his technical skill and musical abilities appealed to Sting - who was frustrated by Henry's limited guitarwork. The Police very briefly existed as a 4-piece band before Henry was let go, and the band was finally in the configuration which lead to its worldwide success. 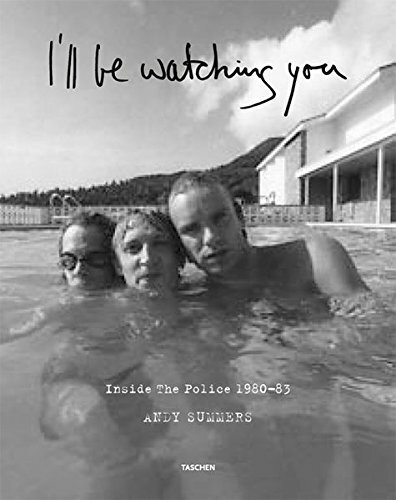 This gorgeous, collectible edition of Andy Summers photography of The Police is an absolute must for any serious fan. Limited edition (only 1500 produced) numbered and signed by Andy himself. All 600 photographs were selected specifically by Andy for inclusion in this book, many of which were previously unpublished. 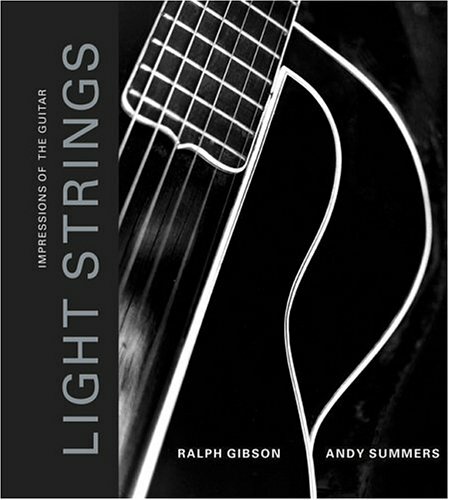 In this unique collaboration, photographer Ralph Gibson's images of the guitar are paired with Andy's writings about the instrument. It is sure to be a delight to any guitar enthusiast or player entranced by the beauty and allure of the instrument. 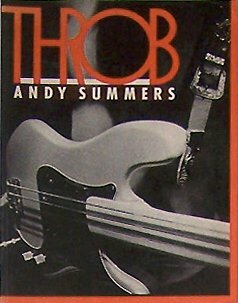 Many years out of print but still often available used is Andy's first book of photography, "Throb". This collection of images of life on the road with The Police reveals the absurdity, drudgery and sometimes debauchery of the rock and roll lifestyle. After the final Police studio album Synchronicity and supporting tour, Andy Summers set out on a solo career and has released numerous albums from 1987 through today. These albums have ranged from 80s synth-pop (XYZ) to New Age (Mysterious Barricades) to experimental fusion (Synaesthesia) to classic jazz (Green Chimneys: The Music of Thelonious Monk). In 2006, Andy released his autobiography, One Train Later, which later became the basis for the documentary film Can't Stand Losing You: Surviving The Police. Andy is highly regarded for his photography and has had his work shown in numerous gallery exhibits and several published collections. Andy Summers has been married twice. He married his first wife, Robin Lane, in 1968 and they divorced 2 years later. He married his second wife Kate in 1973 and they had her first child, daughter Layla Zoe Summers, in 1978. The stress and touring of The Police led them to divorce in 1981, yet they reunited and remarried in 1985. Their twin sons Maurice X and Anton Y were born in 1987. Summers currently live in the Los Angeles area with Kate wife and their family. 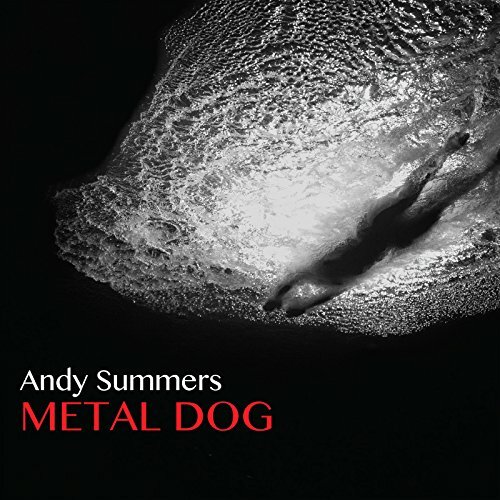 Andy Summers autobiography covers his life from childhood up through the massively successful years of The Police. It is an excellently written, fascinating book well worth seeking out by all fans - as well as any guitar aficionado for his evocative descriptions of music and playing. Enjoy these interviews and recorded appearances where Andy talks about his music, his photography, his writing and more! Andy has released a tremendous number of albums in the years following the Police (and a few in between Police albums in the early 80s as well!) These albums have varied in style from experimental rock to new age to traditional jazz recordings. Here I've provided a chronological list of them with my quick thoughts on each. You can also check out some videos of selected songs to taste the variety of his musical performances and styles. 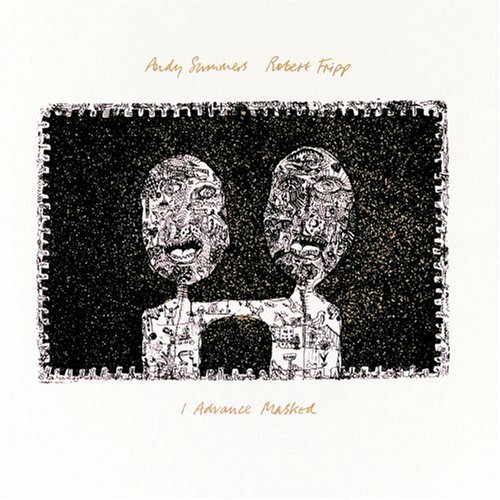 This first collaboration between Andy Summers and Robert Fripp is described as "a true synergy of guitar duets" and a "Minimalist Masterpiece" by reviewers. Though Fripp and Summers have very different styles and sounds, the resulting album is a challenging and memorable collection for fans of early 80s prog/experimental rock. This second collaboration between Fripp and Summers features the latter's touch more strongly, with more of a pop-synth sound that while at times is a bit dated, still reveals many delights. It's more "trippy dance pop art atmospheres more than actual songs", as one Amazon reviewer states, but still very pleasant listening. 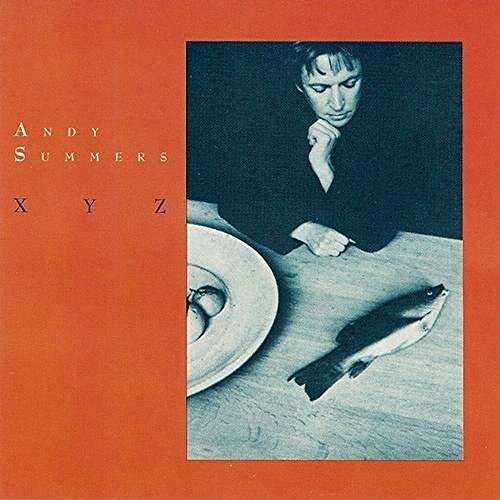 XYZ was Andy's post-Police attempt to become a front man, not just playing guitar but singing and writing pop-rock songs as well. The results, well...were honestly not all that inspiring. While some of the songs had potential and great guitar riffs, the sound overall is harmed (in my opinion) by the reliance on bad drum machine programming and Andy's iffy vocal performance. There are a few better tracks but it just doesn't come anywhere close to the glory days of The Police, not even the released single "Love is the Strangest Way." After the disappointment of XYZ, Andy stuck with guitar and gave up on attempts to add his vocals to the mix with his next album. Mysterious Barricades is more mood and atmosphere than rock or jazz; New Age instead of New Wave. It's a work that can draw you into to its repetitive simplicity, quite like a meditation. I tend to feel this album completes a trio of similar work, including Mysterious Barricades and The Golden Wire. Combining fusion jazz, new age and rock influences it's another great instrumental collection of songs full of texture and atmosphere...but great hooks as well. Andy is supported here by a terrific line-up of other musicians including Herbie Hancock, Chad Wackerman, Bill Evans and even former bandmate Sting on bass. It's a favorite of many of Summers' greatest fans. This release from 1991 is a tasteful bridge between Summers' more rock/new age sound of the 80s and the jazz instrumental work that would largely follow. Fans of "jazz fusion" should definitely enjoy this album. It's one of my favorites that I enjoy listening to again and again. 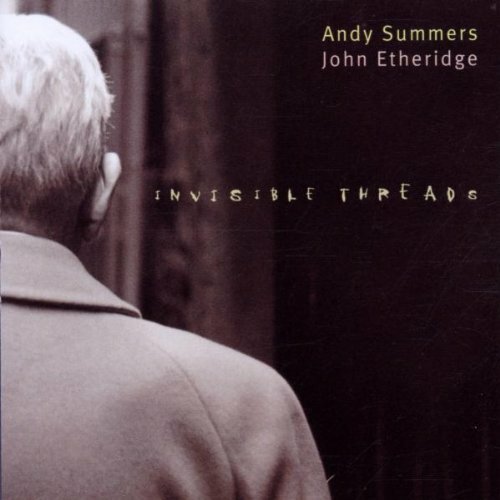 Summers' collaboration with John Etheridge, who played with Soft Machine, results in a soothing, relaxing album of acoustic jazz guitar. They play together beautifully and this is a wonderful album to delight fans of skillful acoustic playing. Synaethesia is one of my favorite solo Summers' recordings, because it presents a curious and widely-ranging assortment of sounds, styles and genres. It's experimental, rocking, jazzy, atmospheric and quite a lot of fun. It's also worth checking out for the legendary Ginger Baker's contributions on drums. 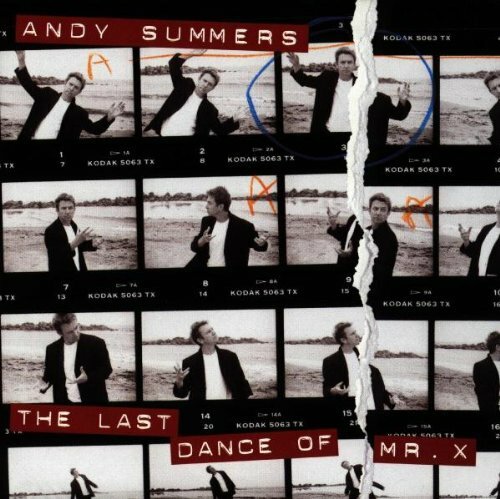 Another great album featuring the great Tony Levin on bass and Gregg Bissonette on drums on most tracks, it really showcases Andy's evolution as a solo artist in the years since The Police parted ways. It begins with a new, exciting version of one of his earlier popular solo tracks, Big Thing. The rest is a combination of new material and covers of jazz favorites, really showing off Andy's love for jazz music in a wonderful modern way. Brazilian guitarist Victor Biglione joins Summers here for covers of Brazilian works, and also songs by Dizzy Gillespie, Dave Brubeck, and George Rogers. This is an album I enjoy quite a bit when I want to feel energized; it's melodic and has a somewhat festive feeling to it. There is no other instrumentation beyond Andy and Victor's acoustic guitars, so you can really appreciate the musicianship showcased on this album. 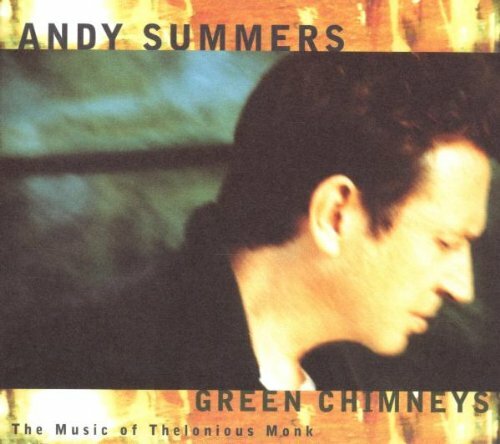 This 1999 release celebrates the music of Thelonious Monk and blends Summers' pop sensibilities with classic jazz, and it's certainly the most traditional in sound of any of Andy's albums to this date. Police bandmate Sting lends a vocal contribution to "'Round Midnight". Following the success of Green Chimneys, Summers followed up with this 2000 tribute to the great Charles Mingus. He is joined by Randy Brecker, Hank Roberts, Deborah Harry and others to round out this collection of jazz classics such as "Goodbye Pork Pie Hat" and "Reincarnation of a Lovebird". 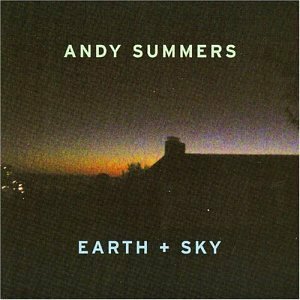 After a few years' break from recording and releasing albums, Summers' returned in 2004 with Earth + Sky. This album features more soothing, atmospheric work than the traditional jazz featured on his last few albums, and to be honest it is a little forgettable to me - not many tracks really stand out overall even through the atmosphere they create is pleasant. This second collaboration with Victor Biglione features a selection of lovely guitar work with a heavy Latin flair. If you enjoy intricate acoustic guitar then this album is well worth checking out. Andy works with a new collaborator here, classical guitarist Ben Verdery, and some consider this his best guitar duo work to date. This album is less jazz and more experimental and atmospheric, with some truly outstanding lead/solo guitar playing. It's well worth checking out if you are in the mood for something different and thoughtful, and there's also a scorching instrumental version of the Police classic "Bring on the Night". 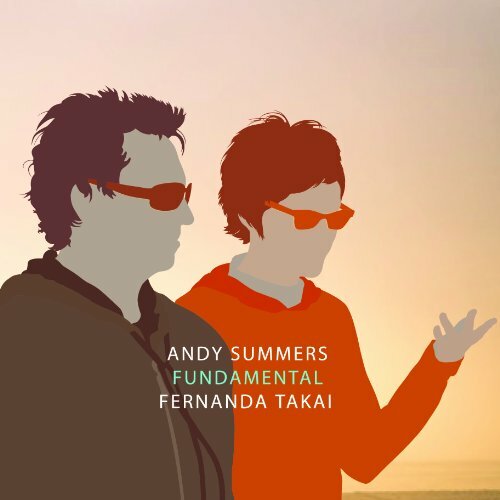 For the first time since his 1987 album XYZ, Summers has recorded an album of non-instrumental tracks on the uniquely different Fundamental. Vocals are provided by popular Japanese/Brazilian singer Fernanda Takai, who also provides the lyrics for the non-English tracks. There's a sultry, smooth-jazz feel to the album as a whole and it's nice to hear Summers' recording with a vocalist again after so long. There was great excitement in 2013 when news broke that Andy was forming a new rock band, Circa Zero - his first since The Police! 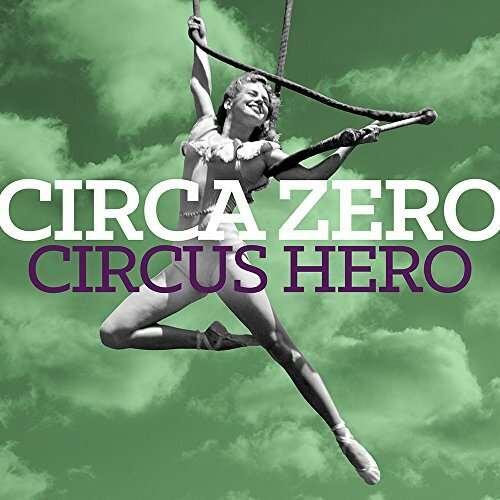 Collaborating with singer/songwriter Rob Giles, they released their album, Circus Hero, in 2014. Many were hopeful that the band would go on a larger tour after this release but things seemed to fall apart soon afterward, and there seems little chance of another album to follow, which is a shame. 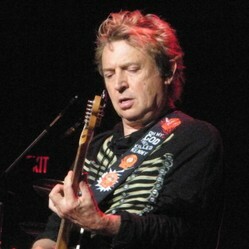 Andy Summers has yet to slow down, and in 2015 added another title to his lengthy discography. Metal Dog is a return to the truly experimental guitarwork of his 80s collaborations with Robert Fripp, except here he is doing it all himself: guitar, keyboards, drums, and production. The result is a fully unique sound that proves that at age 72, Andy still knows how to push the boundaries of modern music and guitar. I wonder what he'll ever come up with next? Andy's official website, where you can find a complete discography, samples of Andy's photography, videos and much more information. Official website for The Police. Discography, videos, store and messageboard forum. Wikipedia article on Andy Summers. Article on Andy Summers from the fan-run PoliceWiki. 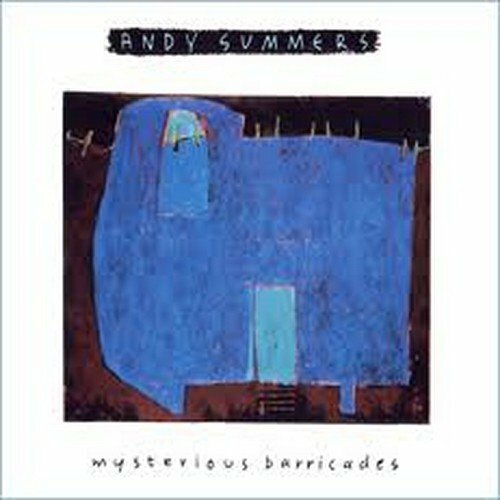 Andy Summers page at the Internet Movie Database. An unofficial Andy Summers fan page. A fan group for Andy on Facebook. I hope you enjoyed this tribute to one of my favorite musicians! Feel free to leave any comments below and thanks for reading!